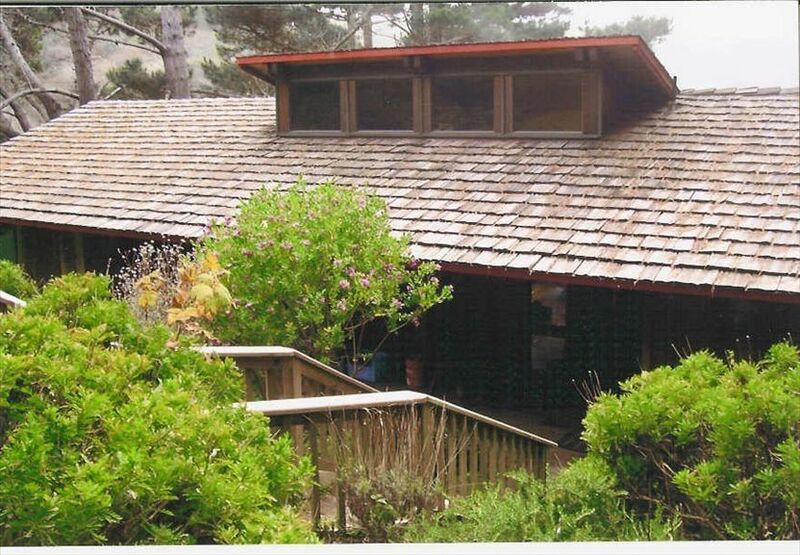 Mendocino County Beachfront Haus - 6 Meilen von privaten Strand! Diese private, direkt am Meer Haus ist auf drei Morgen mit einem privaten, gated Strandzugang! Sechs Meilen von isolierten Sandstrand zu begehen. Erstaunlich tidepools zu erkunden. Walbeobachtung von jedem Zimmer im Winter. Alle Zimmer, mit Ausnahme der dritten Schlafzimmer, Wände aus Glas mit Blick auf den Strand und die Wellen auf den Sand. Eine warme Kabine fühlen sich mit einem modernen komfortablen Ausstattung mit originalen Kunstwerken. Eine begehbare Dusche für zwei in der Master-Badezimmer. Kurzem umgebaut. 30 Schöne Fahrminuten südlich der Stadt von Mendocino. Fünf bis zehn Minuten mit dem Auto zu den besten Restaurants an der Küste. Fünf Minuten Fahrt zum großen Supermarkt und Baumarkt. 3 Doppelbetten, Brennholz, Bücher und Spiele, Liegestühle und Spielzeug. The home is basic and so very functional. All bedrooms located right off the main room with the second bathroom centrally located. The view is unbelievable. I was looking for some rest and relaxation away from Corporate America and boy did I find it. Bear in mind, you are isolated in Irish Ocean Beach area - but just a hop, skip and a jump away from PCH 1's best to offer. Sjolund Market - perhaps 5-10 minutes down the road is superb!! Grab yourself a mug of hot coffee, drop your raincoat on one of the outside chairs if it's early morning (damp environment) and get ready to have your mind melt into the peace of the location. OR....treat yourself to a fabulous walk to the ocean down the windy road and walk along the driftwood laden beach. Just an amazing sight. Such a treat - we hope to get back here again soon. Cozy yet roomy with amazing views! This was not our first time staying in the Canyon Beach House and hopefully it won’t be our last. After long walks on the expansive Irish Beach beach, we’d return to the house, lite a fire in the wood burning stove, sit back and relax with our wine. After s shirt while we’d start preparing our dinner. Everything we needed was in the kitchen and there were even extras that were there Just in case we forgot to bring some essentials. After dinner we watched Netflix by the fire and then headed out to the hot tub. On a clear night you could see numerous shooting stars. Then to top it off we headed to our comfortable bed and awoke to the magnificent views in the morning just to start all over again. Have been here 10 times since 2000 and have stayed here for 3 Christmas' (always is nicely decorated with a tree). Wonderful house, wonderful location and very private and peaceful. Plenty of critters about - visits from deer and other various mammals... including a bobcat family of 3 walking by one Christmas morning. Good variety of birds. Beach walks are great - go at low tide to check out the tide pools (toward the north). Hot tub to warm up and relax and all the amenities you need to BBQ & cook your own meals. We made cookies too. I hear that there are good places to go out and eat, but never have. Once we get to the house, we're stuck. Like I said - love the place. Loved the location and surroundings but the property needs attention. A foul odor in one bedroom made it unsuitable for use so one guest slept on the old sectional in the living room during our stay. The sliding glass door barely opened and the ice maker was not working-we used ice trays provided. Also the guest bathroom sink was clogged. The maintenance man listed in the manual was not available (holiday weekend) so we were not able to use the sink in that bath. The owners did refund the 4th guest fee and was very apologetic about the condition. Note to owner: It’s time for a new couch; also, fix the ice maker and the sliding glass door. Thank you. The views at this house are awesome, along with being able to walk to the beach. The house itself is in need of some upgrades especially the living room furniture. Some things did not work DVD player, ice maker. It has the potential auto be one of the nicest homes at Irish beach, and we have stayed in over twenty. That view, wow! We loved spending a few days at Diane and Pat's home in Irish Beach. The house is well stocked with everything you need. The views are great, it's quiet, peaceful, and a wonderful place to relax, and we especially loved the hot tub which was clean, private, and had a great view. The walk to the beach was just right for an ocean experience and for getting a little exercise! Make sure if you want to bbq outside, that the propane tank is full. We had hoped to bbq one night but there was no propane so we cooked inside instead. Cleaning fee: $65, $85, or $100 based on the number of bedrooms used.